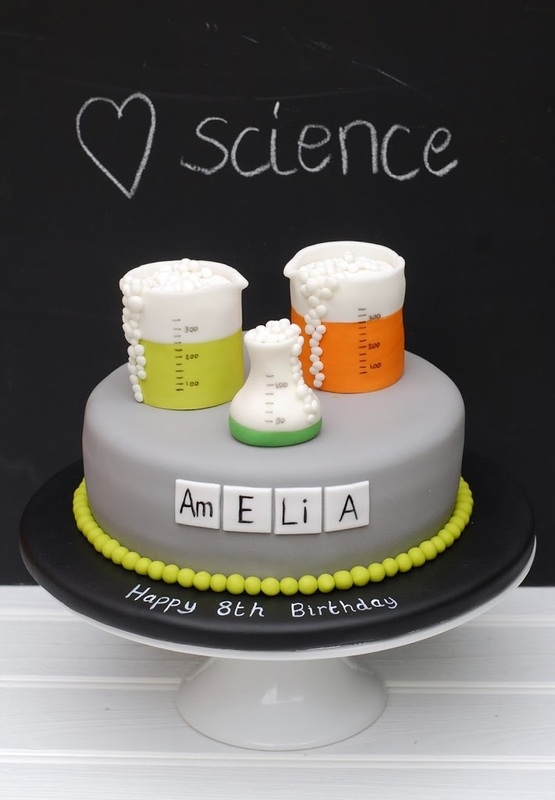 I loved making this science themed cake, with its bubbling beakers of brightly coloured chemicals. I used a Rice Krispie treat recipe to model my beakers, and covered them in sugarpaste, which worked well and was surprisingly quick. 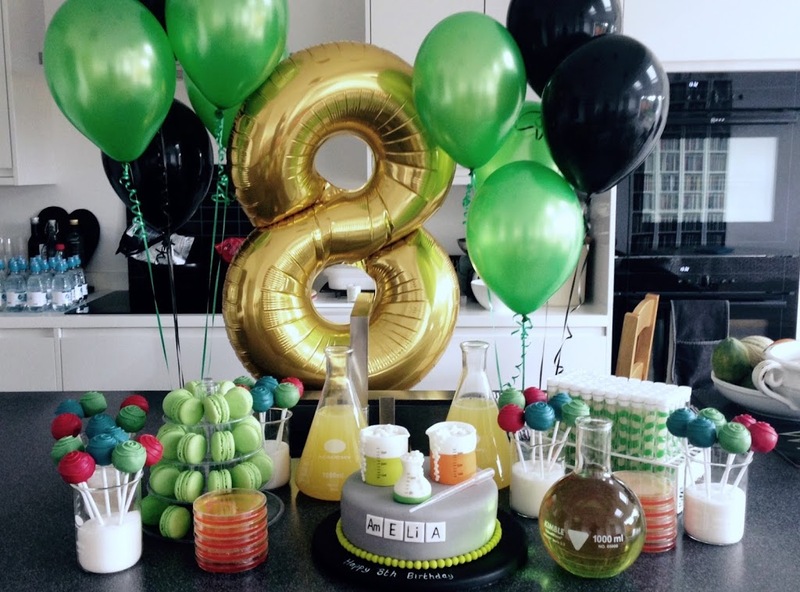 I also made lime macarons and cake pops for the party, which were displayed alongside petri dish jellies, test tubes full of jelly beans and flasks of juice. Happy birthday Amelia, I hope you had a fabulous day!